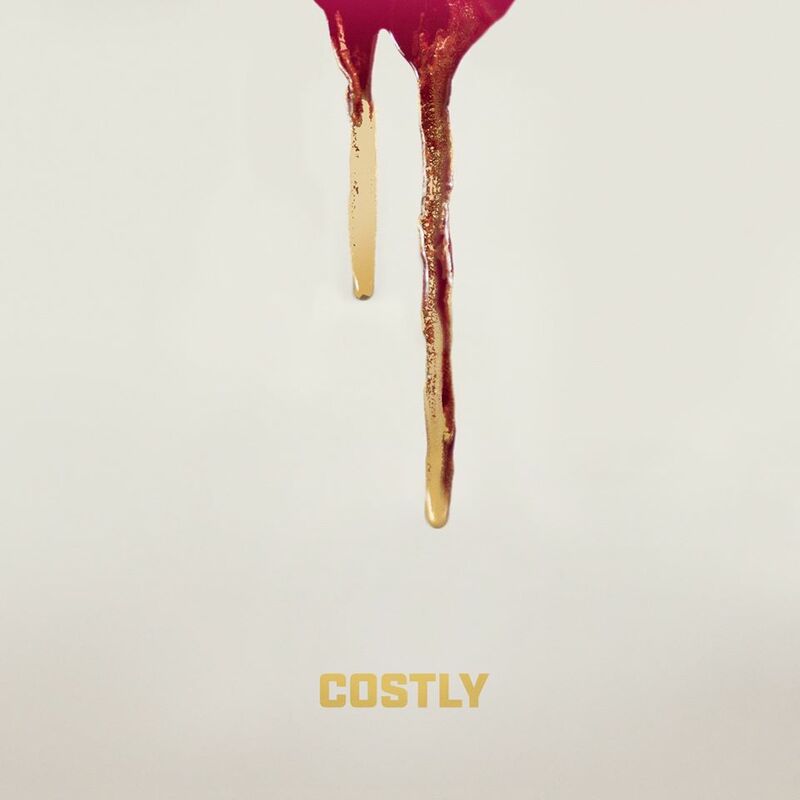 Two years after the release of their big debut album, The Good King – which was our album of the year for 2013 – Ghost Ship today announced a new release, an EP titled Costly, set to release June 29, with a full-length album to arrive in the Fall. I recently caught up with Cam Huxford from Ghost Ship to talk about what to expect on Costly, the recording process of this and the new album, and their exploration into the multi-faceted love of God. SAM: How have things been going with the band since we last spoke? CAM: It’s been really cool. I’m amazed that God kept us together through everything [Mars Hill]. We’ve been playing together for about six years and I’m just so thankful that I still get to play with the same people and that I get to lead worship with the same people. Ghost Ship’s always been a band that started in a community, leading our brothers and sisters in worship, and it continues to be that. It’s cool that we get to be a part of the same community that we’ve been a part of for six years even though things have obviously changed a lot. One thing that I think is interesting, and crazy to me, is that even though Mars Hill has gone, a lot of stuff that God was doing through the music at Mars Hill continues. I think of my buddies in Citizens & Saints, Dustin, Chad and Kings Kaleidoscope. We were all working together at one point at Mars Hill and we’re all now at different churches, but when we were all together we were part of something cool that God was doing with music, and that hasn’t really changed. The church collapsing hasn’t changed that. As far as music is concerned, we’re doing the same thing: proclaiming the gospel as clearly as we can through music. Was there any point where you thought Ghost Ship might not continue? There actually really wasn’t a point like that. That’s a good question, because actually no! I’m amazed now that the band is still together but there wasn’t a point where we considered ending it. It just seemed like we were up against so much opposition at times. The way it ended at the church, if we’re just talking about music, was really hard on the bands – all the volunteers. It just felt like a year or so of total chaos. I was always worried people were going to get worn out by the whole thing. I think God really provided for us all, walking with us through a hard time. He kept a lot of the community intact – the community that Ghost Ship is part of, whether people we go to church with now or those outside of that. God has protected his church in Seattle, and it’s a strong community that me and Ghost Ship get to be part of. It’s life-giving and refreshing to us. You’ve been recording new music for a while, when did you start this new recording process? We started recording it at the end of February. We’ve been recording it for a while, actually. That’s another cool thing I wanted to mention, about how God provided after everything went down at Mars Hill. Musically speaking, we get to continue to work with the same record label that we were at Mars Hill. We have relationships with those guys at BEC Recordings, we know, love and trust them. It’s really cool to make another record with them. But we started making it in February. It’s funny as I look back at our recording photos – there’s snow on the ground! And now it’s summertime again. It honestly took longer than I thought because in a lot of ways we’re doing it on our own. 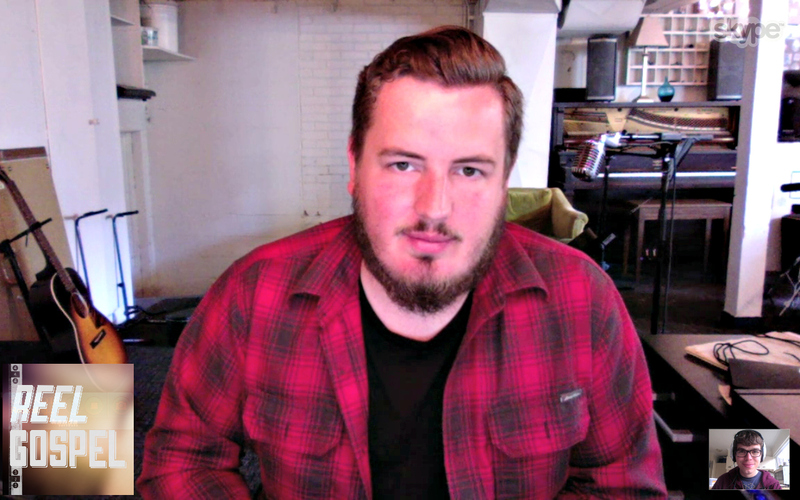 Figuring out how to make a record as a band and not with the structural support of the church. It’s been a cool experience, a freeing thing. This record is a lot more personal than the last record. We’ve all been through a hard time together and we just have total freedom in terms of what to write about and what to put on the record. The writing for the album was coming out of where we were with our walk with Christ. It’s interesting, this record ended up being about God’s love for us. I think of God’s love as this many-faceted diamond that you can’t really wrap your head around the whole thing, but you can look at it from different angles. This record is trying to do that. I think, coming out of the past few years, we ended up seeing that God loves us. [Laughs] That was comfort through hard times. We have written a record about God’s love for us and how the Bible talks about God’s love. One of the themes I see in scripture is that the Bible describes God’s love as being sacrificial. In a lot of John’s writings, love is laying down your life for somebody. That’s been hitting me hard over the last few months. God’s love is sacrificial. It’s not self-protecting. That’s what causes so much pain and damage in the church and the world – self-protection. Doing things because you’re trying to protect yourself, rather than serving somebody else, or lay your life down for somebody else. It’s been a fun season of writing about that and I’m excited about the songs on this record. We recorded a lot of songs. I believe there’s going to be fourteen songs on this record. We just started writing and kept going! Fourteen songs! That’s almost a deluxe album! And you posted pictures of the recording process – you were in a house on top of a mountain? Yeah, for the first week of recording we all drove to Montana. Our producer Brian Eichelberger, his family has this cabin out in Montana. He thought it would suit the vibe we were going for. It’s a big A-frame sort of space. We drove ten hours in the middle of winter in crazy snow. At one point we got out to get gas and it was -20 or something like that. It was hard to breathe! But we got out there and spent a week in the cabin doing drums and Jameson’s guitars and banjos. That was a fun experience. One thing about this record, I wrote it in reverse to the way I normally would write music. I usually start with melody and lyrics, and then everything kind of works around that. You don’t know what direction it will take musically, but this record we all had a clear musical vision. So I started writing songs based on drum beats and stuff that Jameson had going on. So the first week we recorded those parts. It’s a unique way to do a first week of recording, but it turned out to be the right process for the sound we were going for. We don’t want to make a regular, mellow, textural folk record. We really wanted to make a fun record that people will dance to. We started with big, heavy-hitting beats that people could dance to and then we saw how they fit with the folky textures we’ve always done. It’s an interesting outcome. I’m stoked about what came out of that process. The Good King was very congregational. Have you kept that vision for this next record? Yeah, I’m glad you asked. I’m glad to clear that up. It’s definitely congregational music. It’s music written to be sung at church. That’s our heart – to write music for the church. We’ve been doing some of these songs at church which is pretty cool. One thing about The Good King is that there were only a few songs that we had been playing at church before we recorded it. And so, that being the case, we didn’t know what songs would work well at church. But with this new record, we have been playing a number of these songs at church and even some of them have evolved a little bit through playing them at church. It’s totally congregational music. Will it sound similar to the last album? Sure. I think a lot of it comes from playing together for a lot time. We understand how each other work a little better this time, and can read each others’ minds a little bit, musically. So even though we wanted to explore a different tone on the record – we could envision these songs being played in one set at church and people dancing the whole time – you will definitely know it’s the same band. It’s fun, big, dancey music. Will I be stomping my feet? Yeah totally, man. Stomping and clapping. That’s something we wanted to explore with the beats on this record. Leading worship at church, often the people don’t know when to clap. They’ll always clap with the kick drum, no matter what. Clapping to the snare isn’t natural, at least in Seattle. We just wanted to see our people dancing and clapping. So we make sure the snare is huge. Sometimes we even put a clap sound with the snare to give some guidance! Your new music isn’t going to drop all at once – what can you tell me about that? We’re going to release the Costly EP at the end of June. And then we’re going to release a full-length in the Fall. The EP will have four songs on it. Is there a reason why you’ve decided to release this way? Well, I think for us, we were going to release it in Spring but we kept writing, kept going. Then we just felt like some of the songs would be fun to release in Summer. They’re party songs. What can you tell me about the title, Costly? Costly is a concept I’ve been stewing on for a long time. When we were writing songs about God’s love we kept being struck with how costly it is. Sometimes with these songs we’re reaching for a way to describe how big and how heavy and how costly God’s love is, but sometimes we run out of metaphors. That’s in the feeling of these songs. They’re trying to describe the costliness of God’s love but obviously we don’t have anything on earth that’s as costly as the price that Jesus paid, because he loves us. What can we expect from the EP, other than a party sound? What are the songs about? The first song is called Adoption. It’s been one of my favourite songs. One of the coolest pictures of the gospel on the earth is adoption. Ephesians 3 speaks about the mystery of the gospel being revealed – and that mystery is that the Gentiles are adopted in. Even the angels are amazed that God would adopt the foreigners and aliens. I always feel that’s the coolest thing – that we who are the lowest are adopted into God’s family. And that means that Jesus is our big brother. That’s one of my favourite songs, for sure. I have a lot of favourites, but it hits me really hard. I wanted to make sure people heard that first. Another song on there is Hesed. When you take the Hebrew word, sometimes people write it ‘hesed’ and others write it ‘chesed’. I’ve always found it easier to say and spell ‘hesed’. It’s a Hebrew word in the Old Testament used to describe God’s covenant love. The translations of the meanings are beautiful, there’s all these different nuances: loving kindness, faithful, unbreakable. God’s covenant love is unbreakable because he made a covenant with us where he said: ‘I will be your God, I will be your people.’ That picture of God’s love blows me away. What we see in the Bible, and in our own lives, is that we keep pulling against him in rebellion and trying to run, yet he keeps pursuing us. We find out time and time again that we can’t break God’s covenant love for us. He will continue to love us. That song is a slower song. It’s not going to be a radio single – it’s a slower one to chew on. Conceptually, it’s good for people to hear that song before hearing the whole album because it explains a lot of what we’re exploring on the record. Is there anything else you’d like to share about the upcoming releases? It might sound weird to people when I say that we’re trying to make a record about God’s love. People will say that there’s so much music about God’s love. Everything on Christian radio is about that! But that’s one of the reasons why we set out to write about God’s love, we wanted to be faithful to a Biblical definition of God’s love as sacrifice. I do hear a lot of talk about God’s love, but it’s important for us as Christians to stop and think about what it means that God loves us. The cross is in there. His love is seen in his love and sacrifice for us. We want to come back to that – the clearest picture of God’s love is seen at the cross. Scripture says: ‘In this is love: that he died for us.’ And so, that’s the message we’re trying to proclaim on this record. Costly by Ghost Ship will release on June 29th. It will be available on iTunes. Watch out on Ghost Ship’s Facebook page to hear the single Look What God Has Done, arriving in the coming days. Posted in MusicTagged christian, Costly, EP, Ghost Ship, InterviewBookmark the permalink.